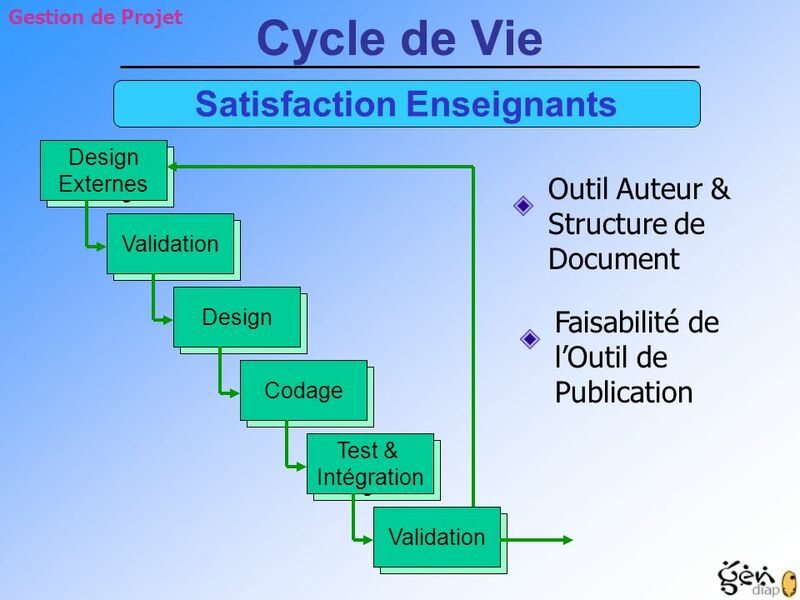 Gestion de Projet Cycle de Vie Satisfaction Enseignants Design Externes Codage Test & Intégration Validation External Design Coding Test & Integration Validation Outil Auteur & Structure de Document Faisabilité de l’Outil de Publication We have three goal : Author tool Course structure Feasibility of publishing tool More over, the exact specification requirement was define at the beginning of the project. 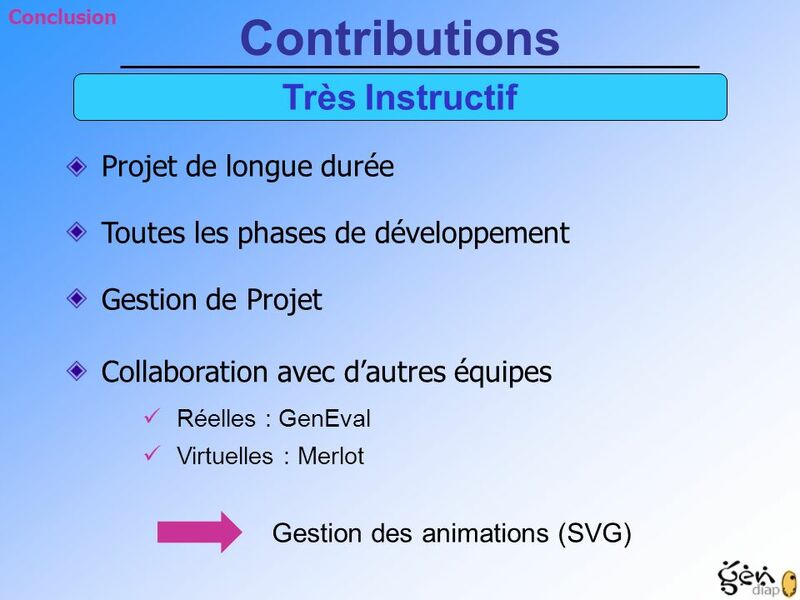 So we design and code using increment. 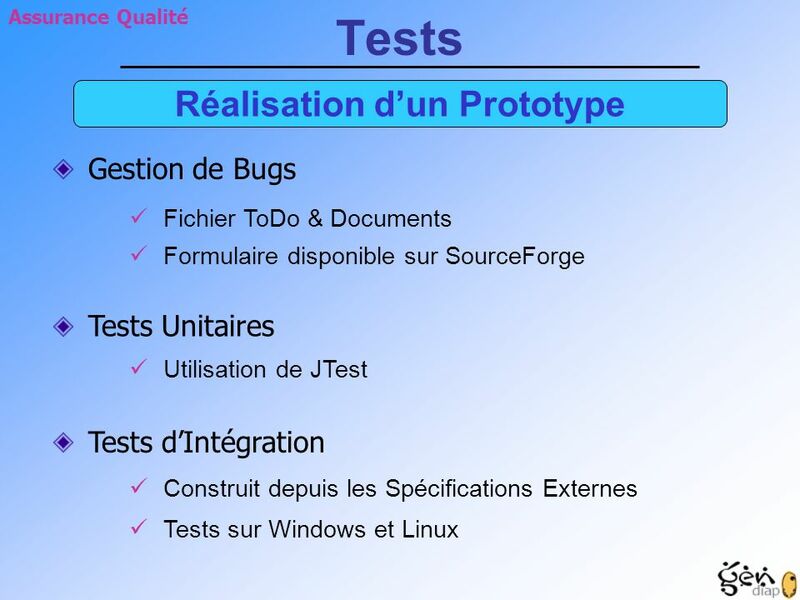 One increment consist of external design AND validation, then normal phase with a validation at the end And then, we iterate with a second one a final validation. 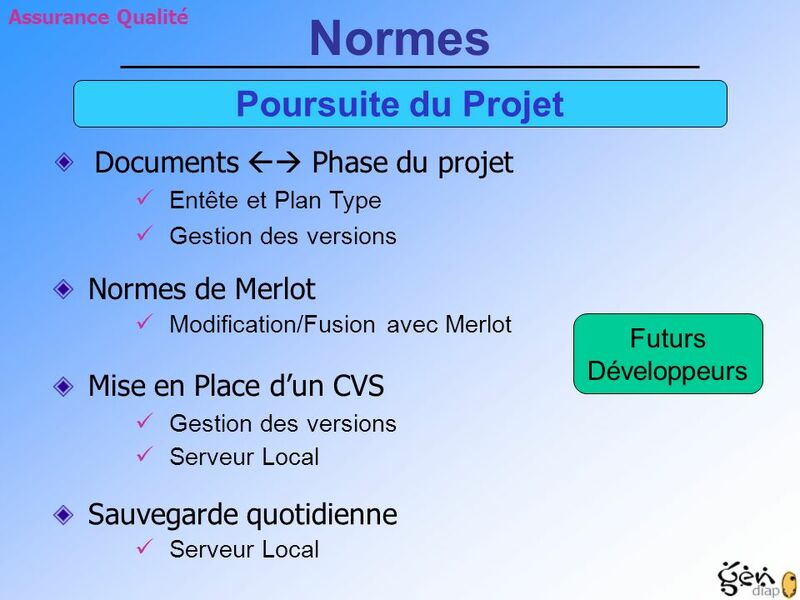 We have more detail with planning…. 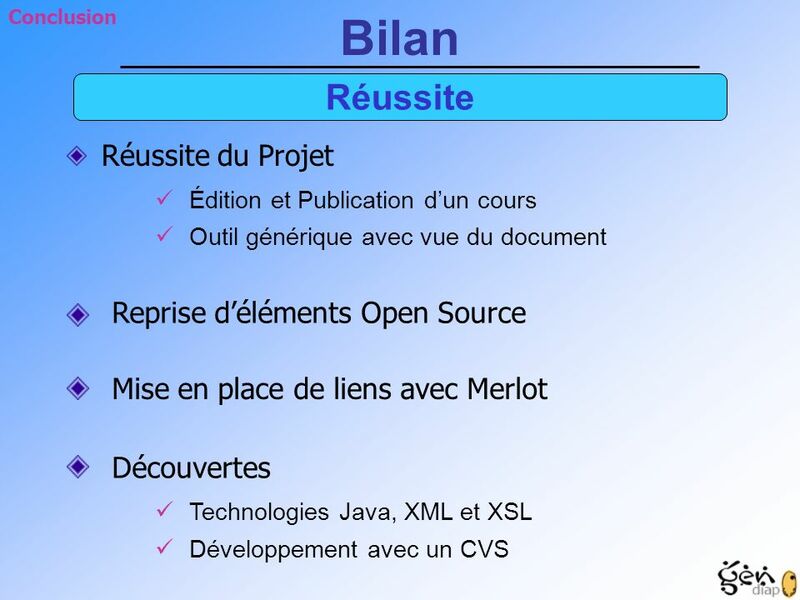 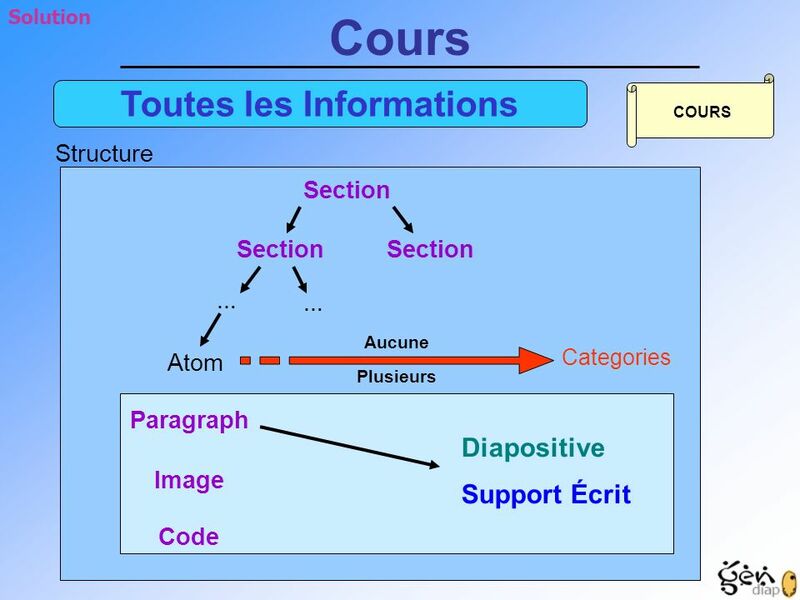 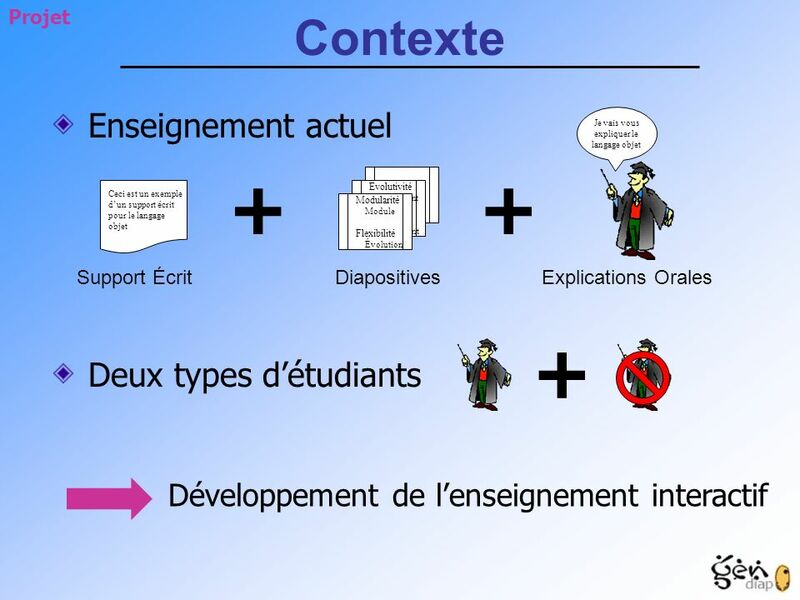 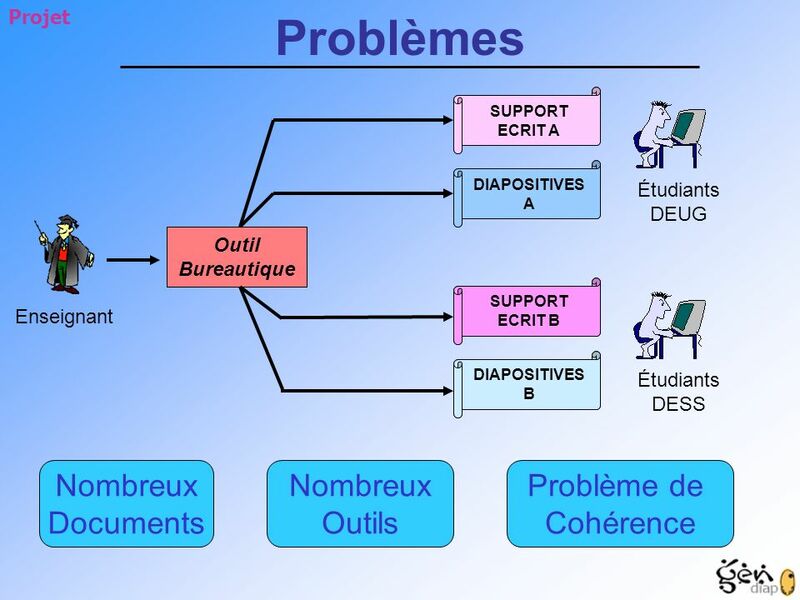 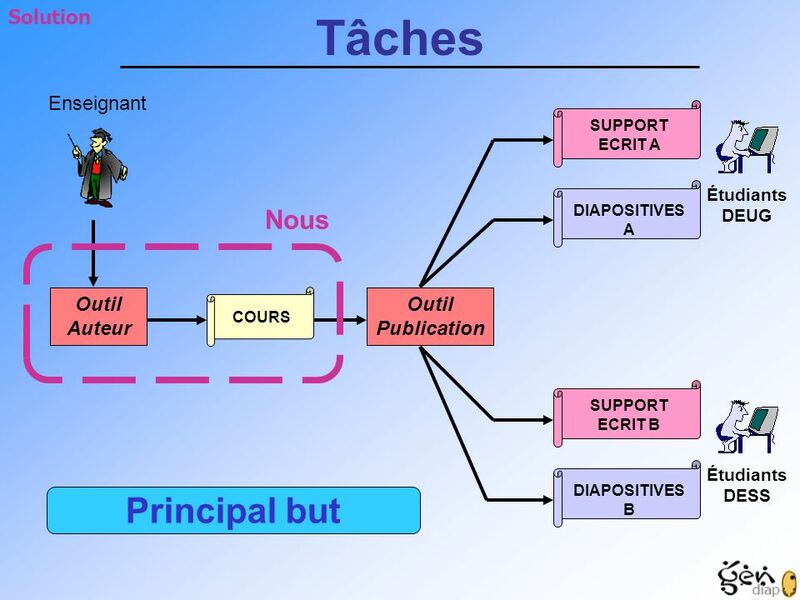 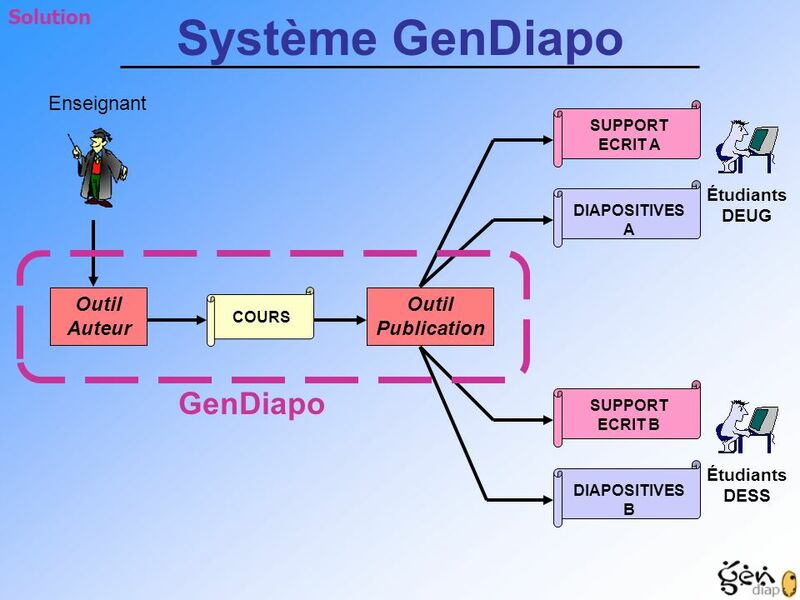 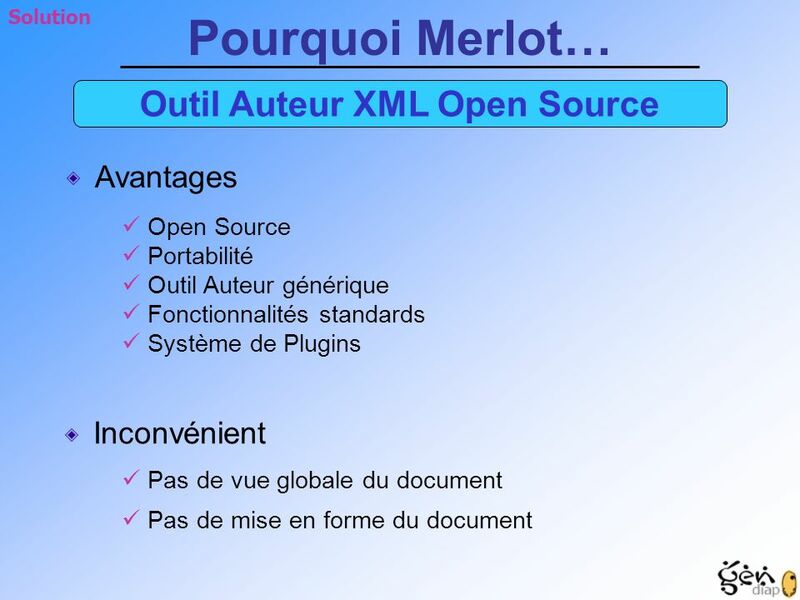 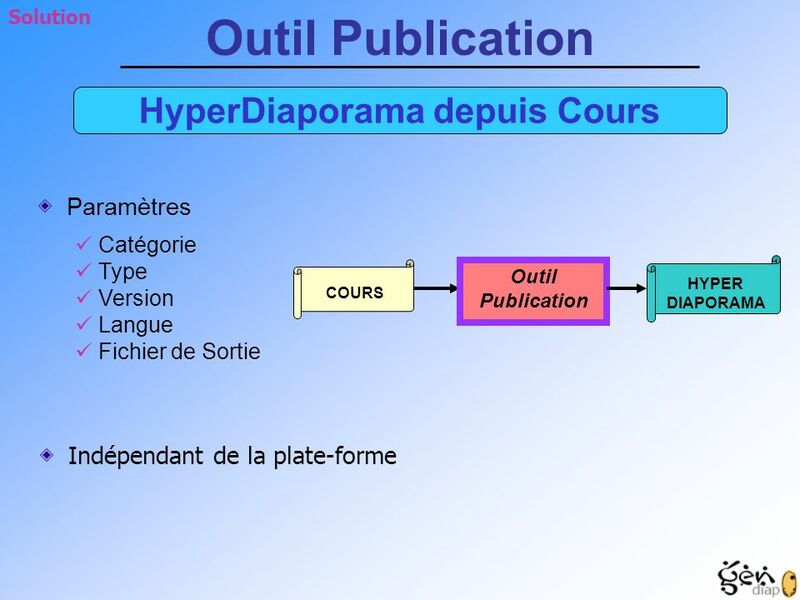 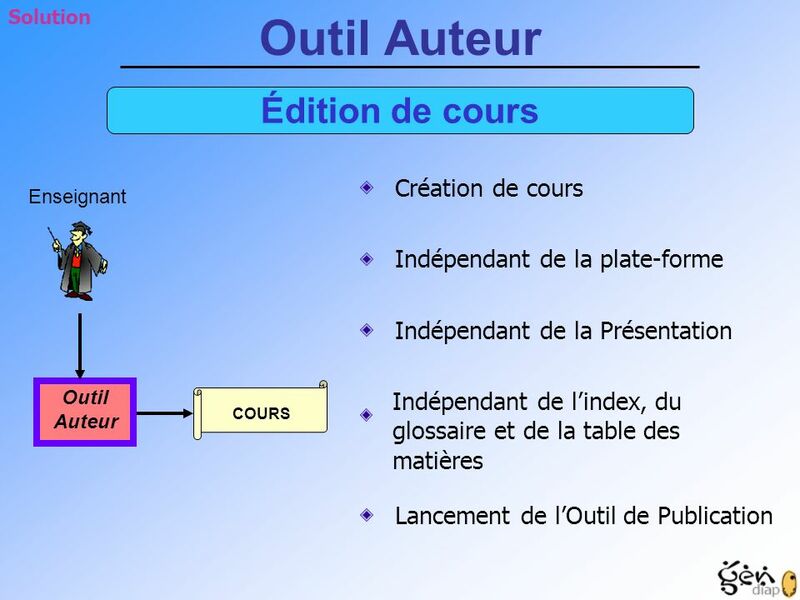 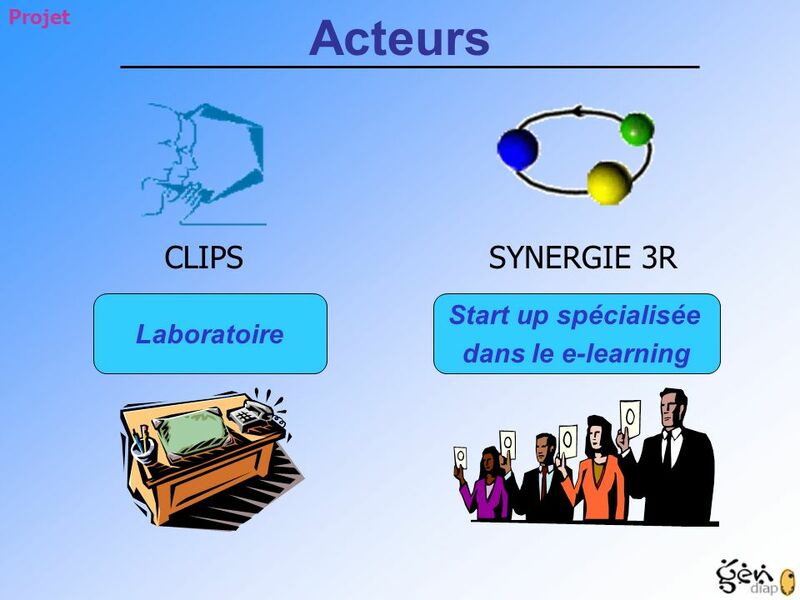 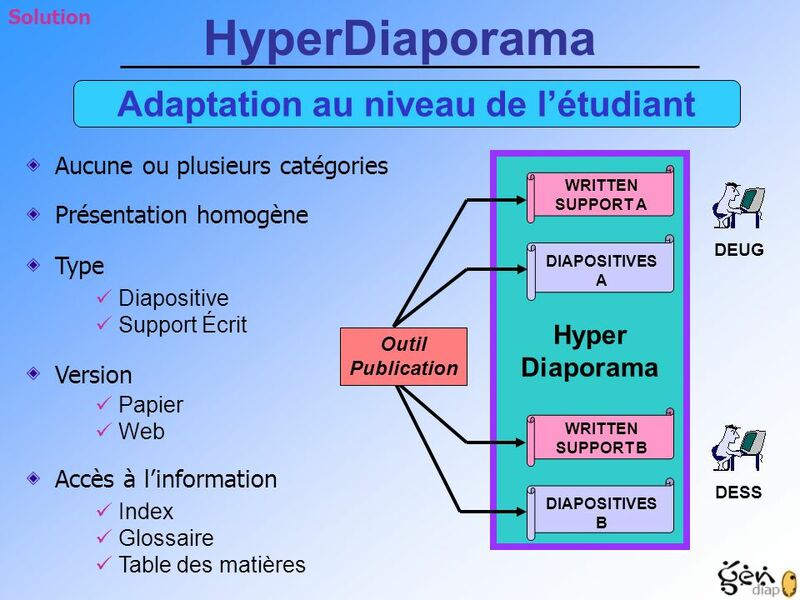 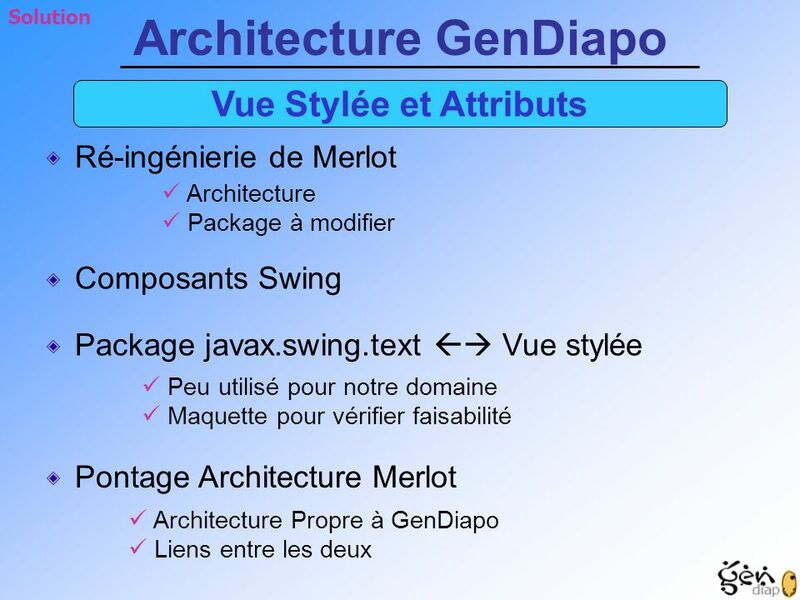 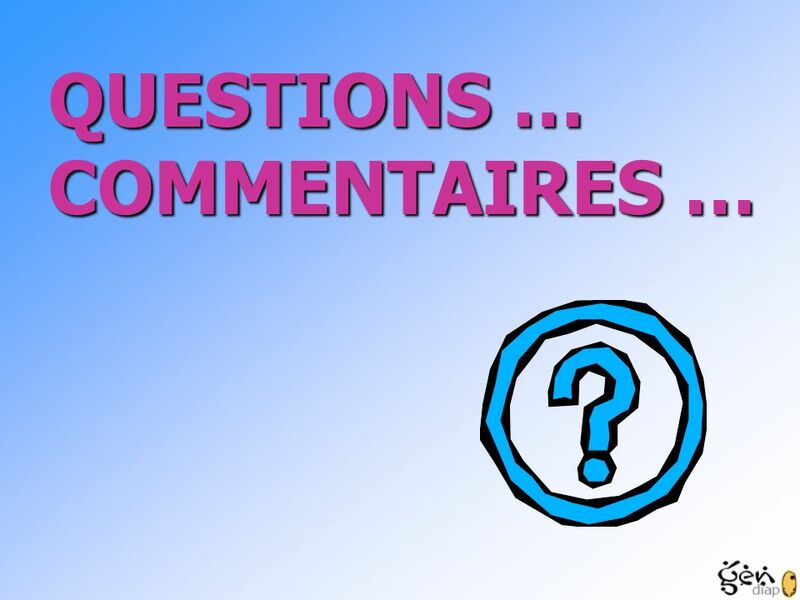 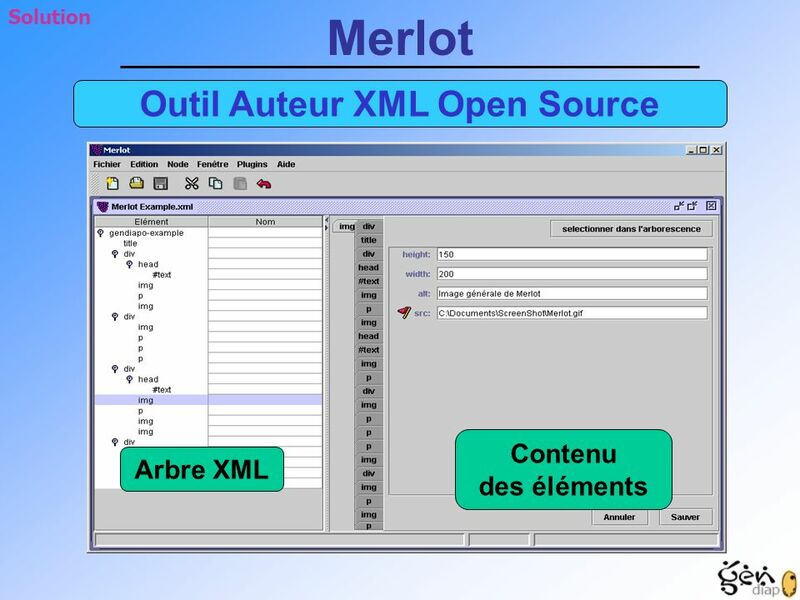 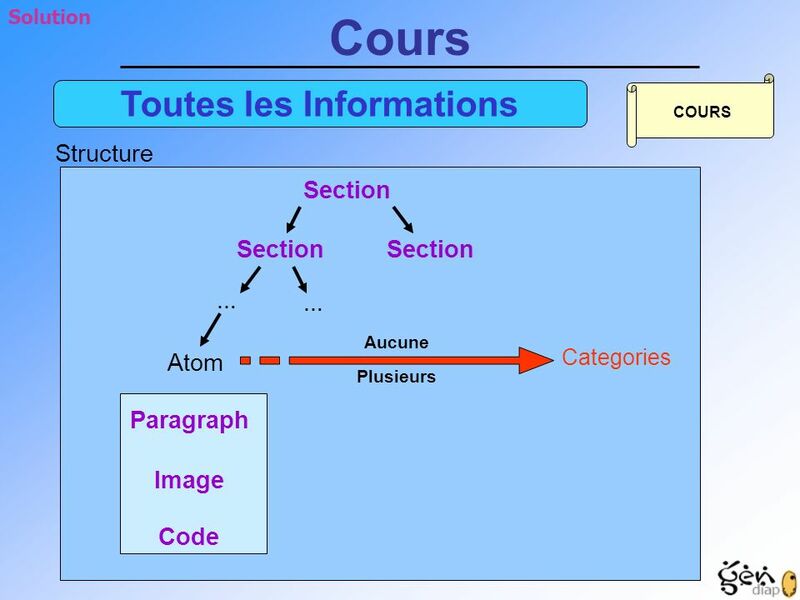 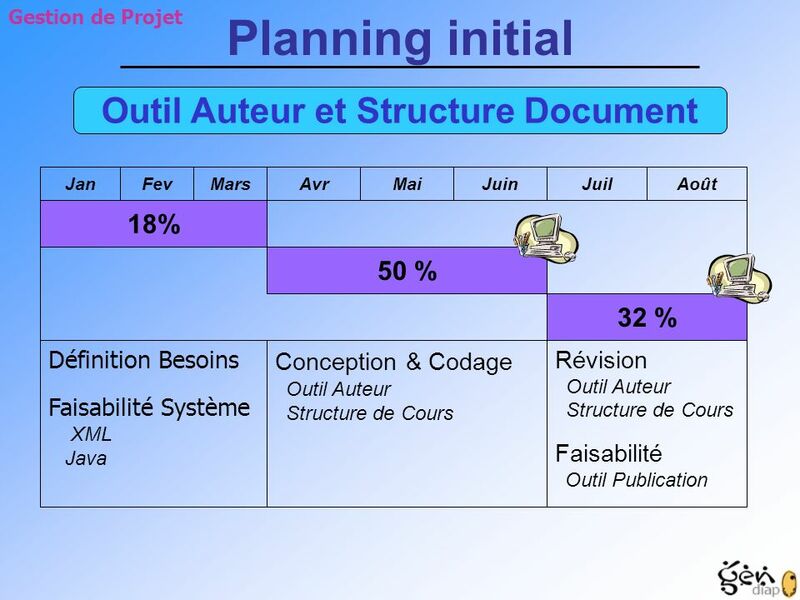 Gestion de Projet Planning initial Outil Auteur et Structure Document Jan Fev Mars Avr Mai Juin Juil Août 18% 50 % 32 % Définition Besoins Faisabilité Système XML Java Conception & Codage Outil Auteur Structure de Cours Révision Outil Auteur Structure de Cours Faisabilité Outil Publication In fact the project was into 3 parts. 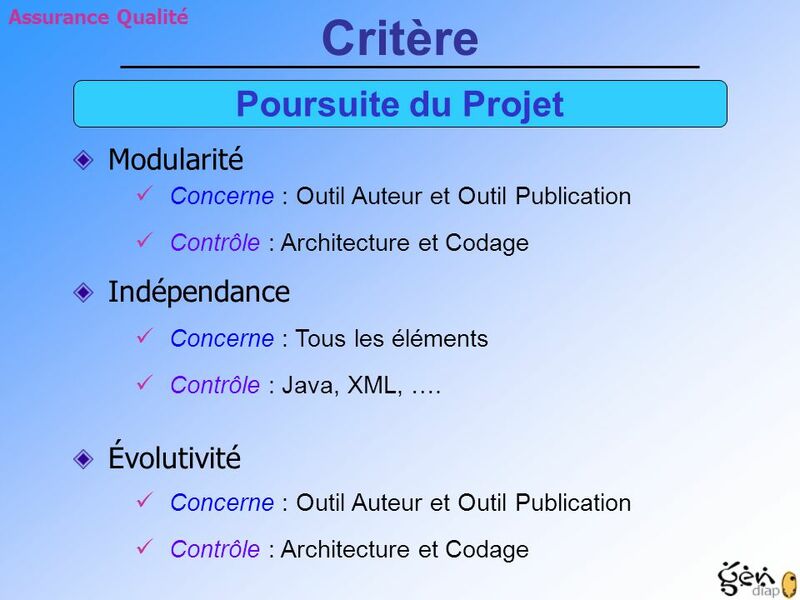 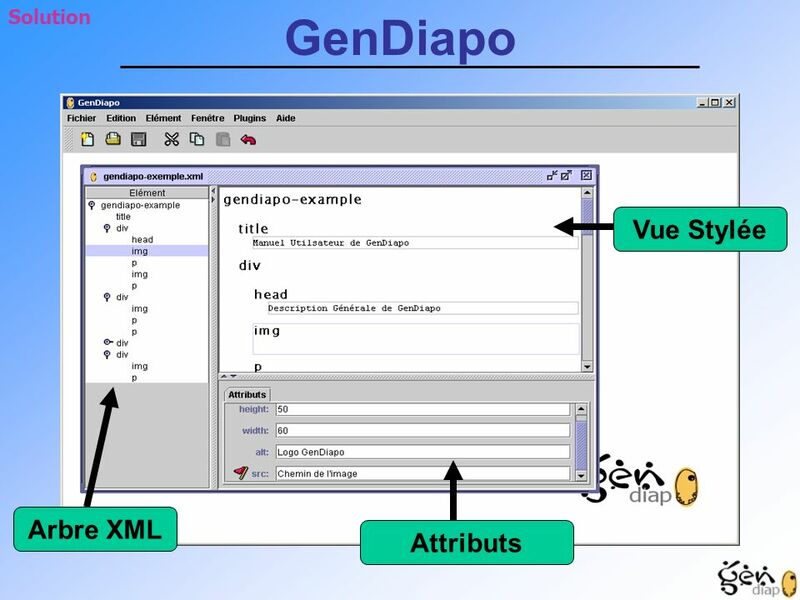 The first one corresponding to the half time period ( 4/1/2001 – 31/8/2001 ) We got requirement And study system feasibility with XML and Java technologies Since the full time period we are in the first increment. 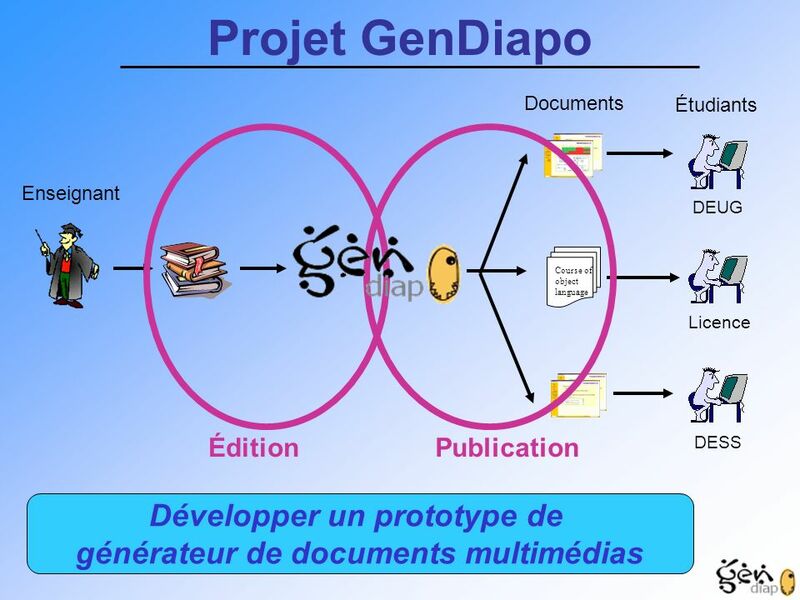 ( 10/4/ /6/2001 ) There is two goal here, but linked : Develop a prototype for author tool Develop course structure Since this is the most important part of the project, it’s take 50% of all effort In a second phase, ( 9/7/2001 – 31/8/2001 ) We will make a revision of 1st increment And will add the publishing tool. 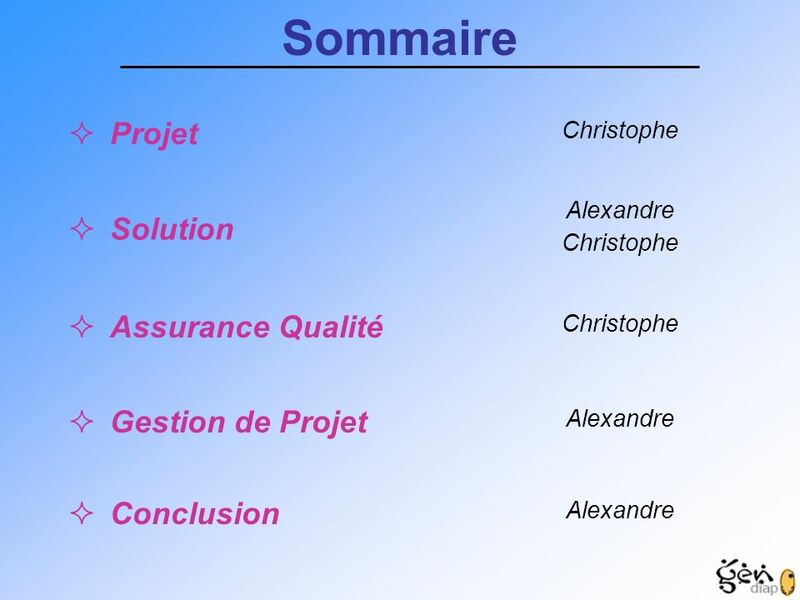 Actually, We will just show the production chain. 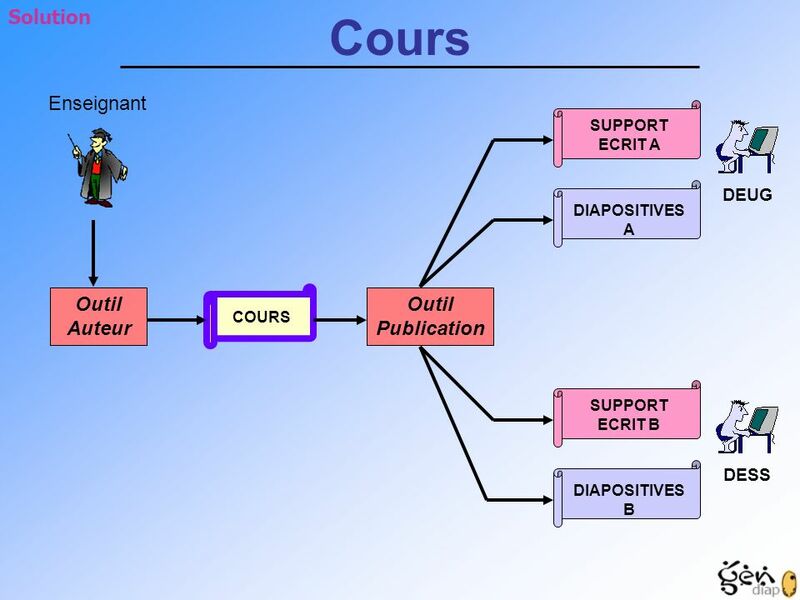 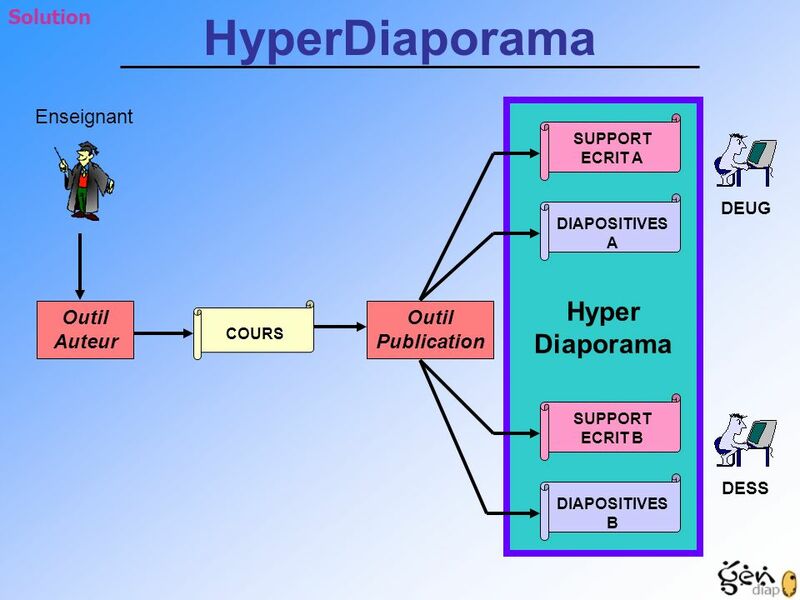 In fact a correct development of the publishing tool need the double in works. 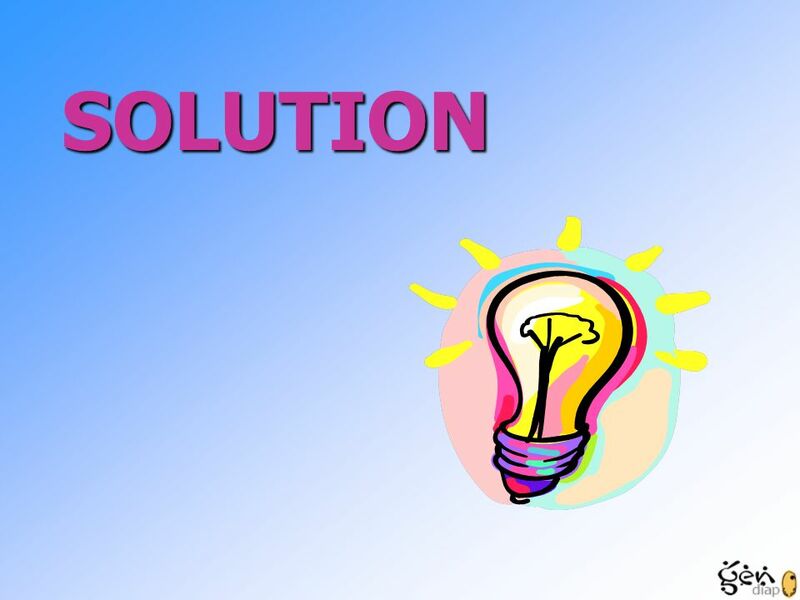 (why in this order feasibility and revision ?) 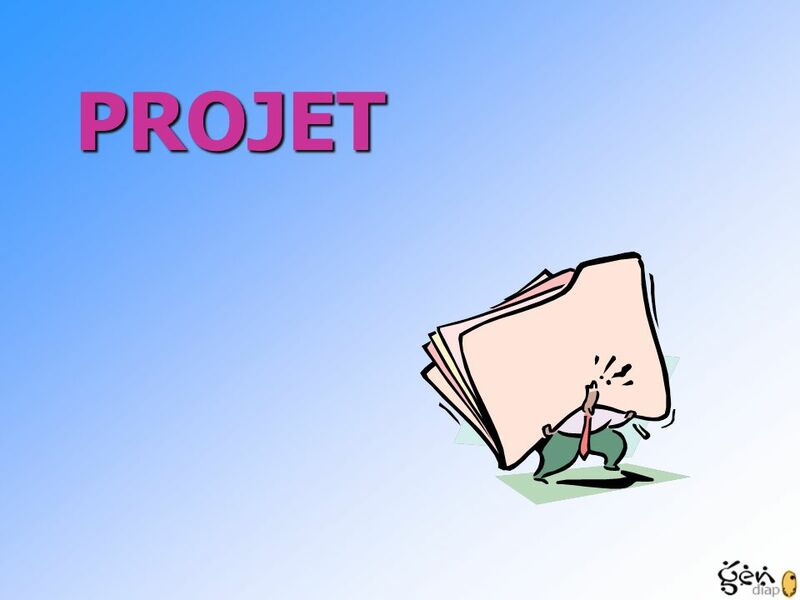 Now, taking in account the project context, we have different risks. 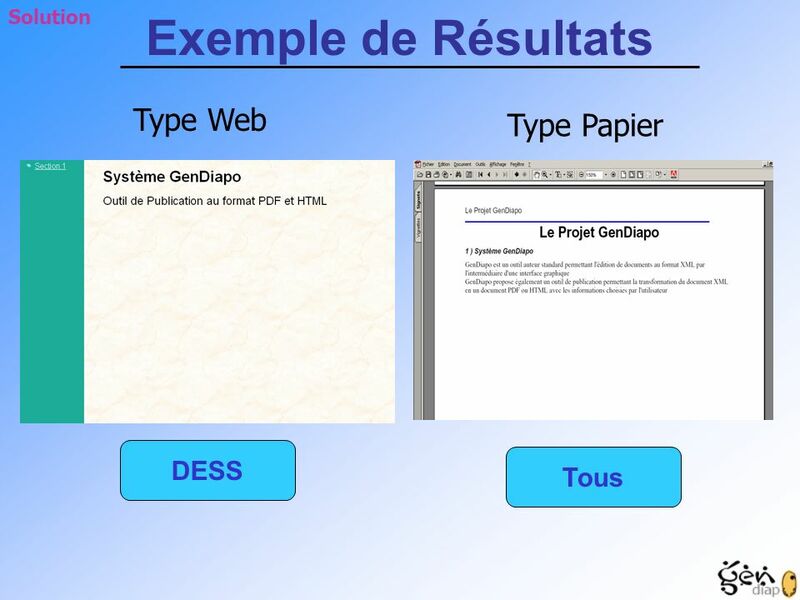 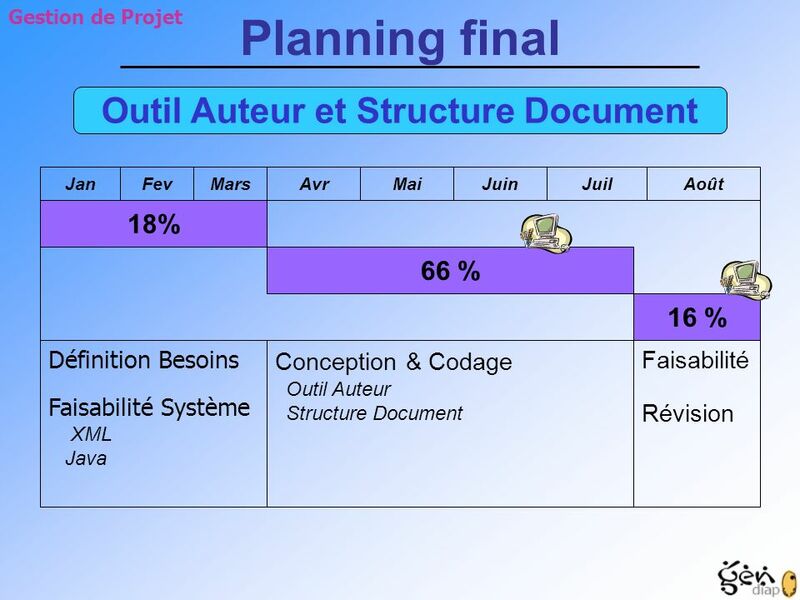 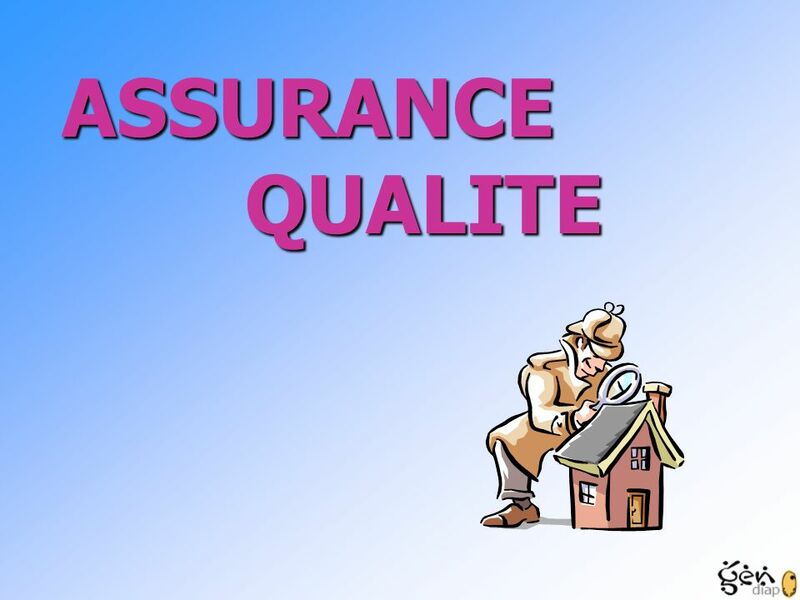 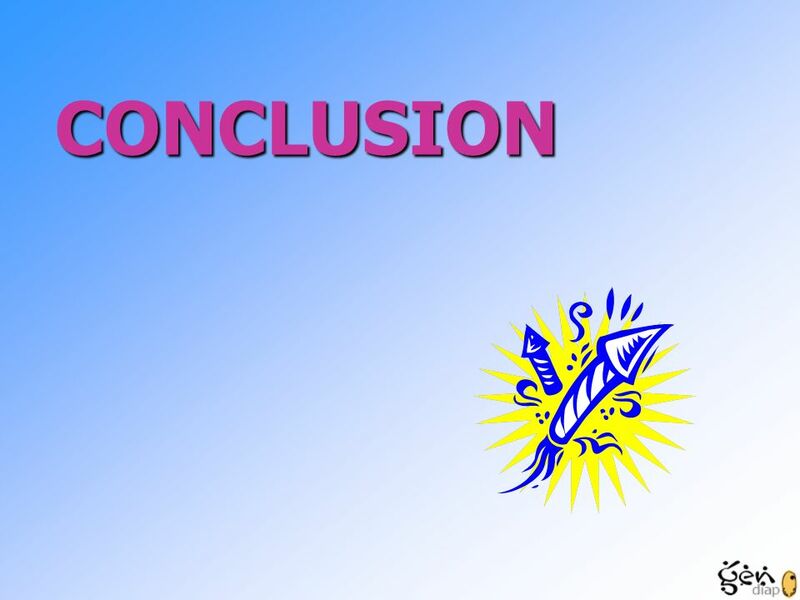 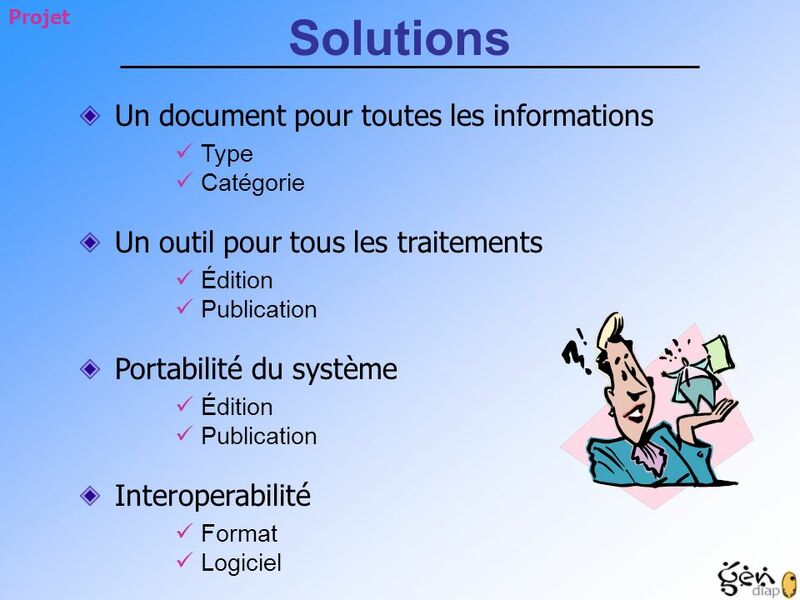 Gestion de Projet Planning final Outil Auteur et Structure Document Jan Fev Mars Avr Mai Juin Juil Août 18% 66 % 16 % Définition Besoins Faisabilité Système XML Java Conception & Codage Outil Auteur Structure Document Faisabilité Révision In fact the project was into 3 parts. 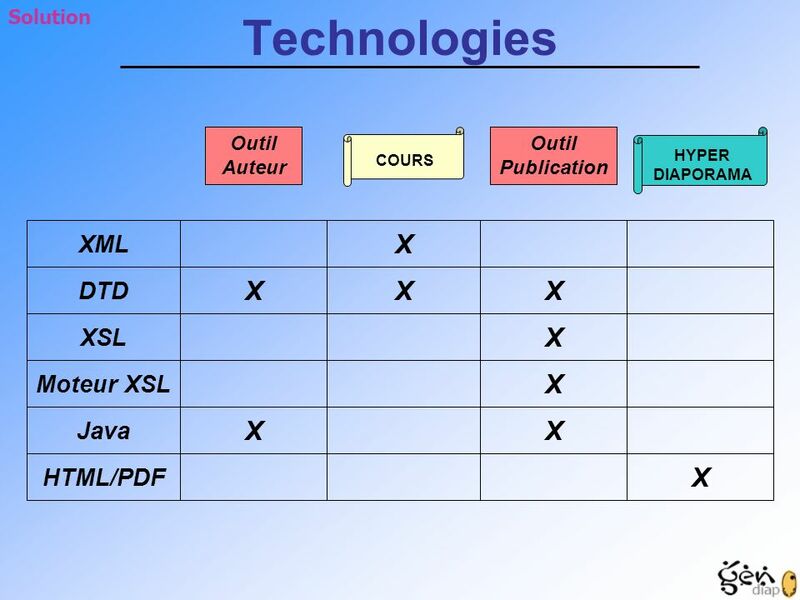 The first one corresponding to the half time period ( 4/1/2001 – 31/8/2001 ) We got requirement And study system feasibility with XML and Java technologies Since the full time period we are in the first increment. 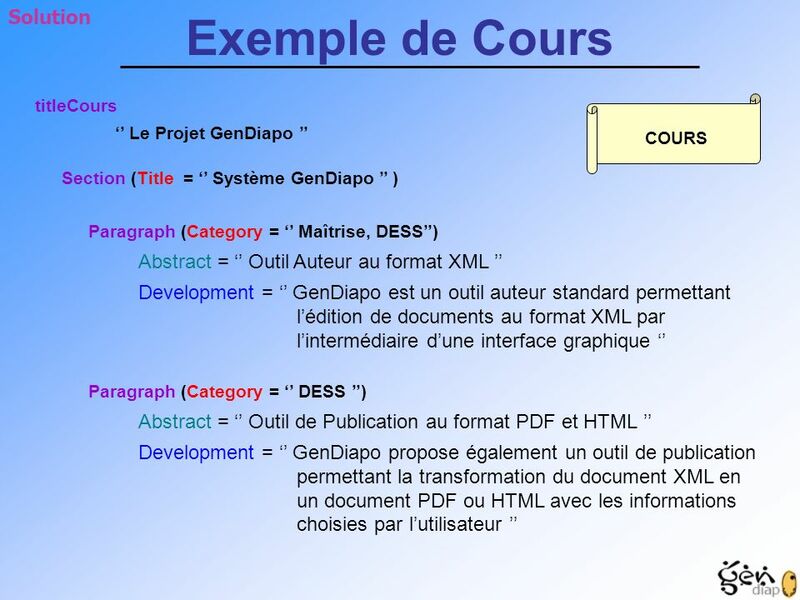 ( 10/4/ /6/2001 ) There is two goal here, but linked : Develop a prototype for author tool Develop course structure Since this is the most important part of the project, it’s take 50% of all effort In a second phase, ( 9/7/2001 – 31/8/2001 ) We will make a revision of 1st increment And will add the publishing tool. 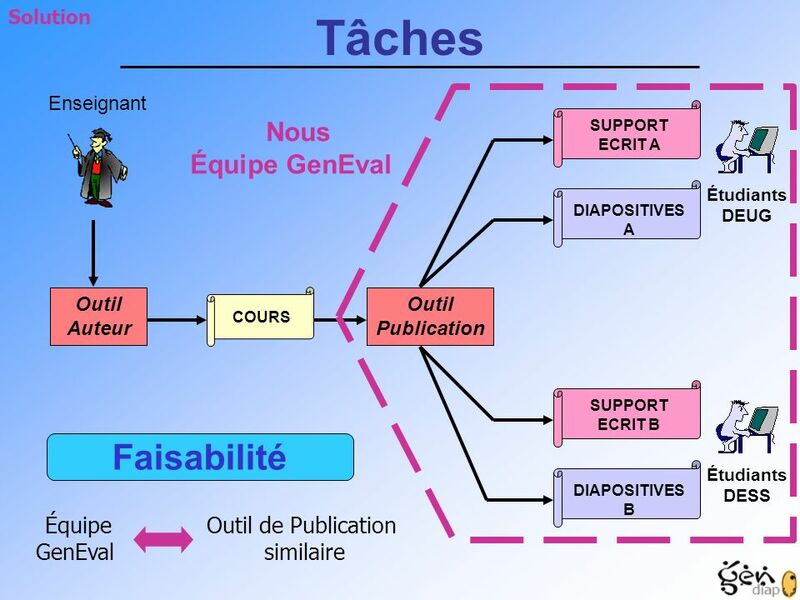 Actually, We will just show the production chain. 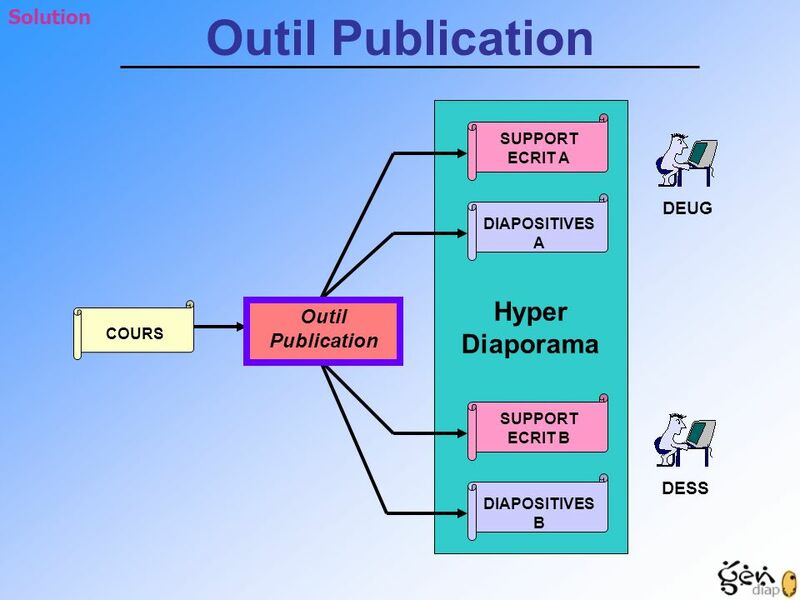 In fact a correct development of the publishing tool need the double in works. 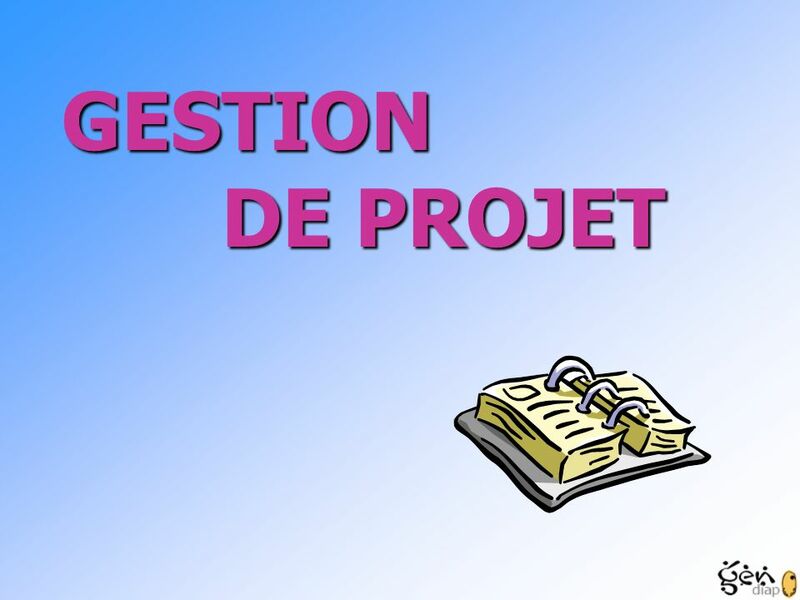 (why in this order feasibility and revision ?) 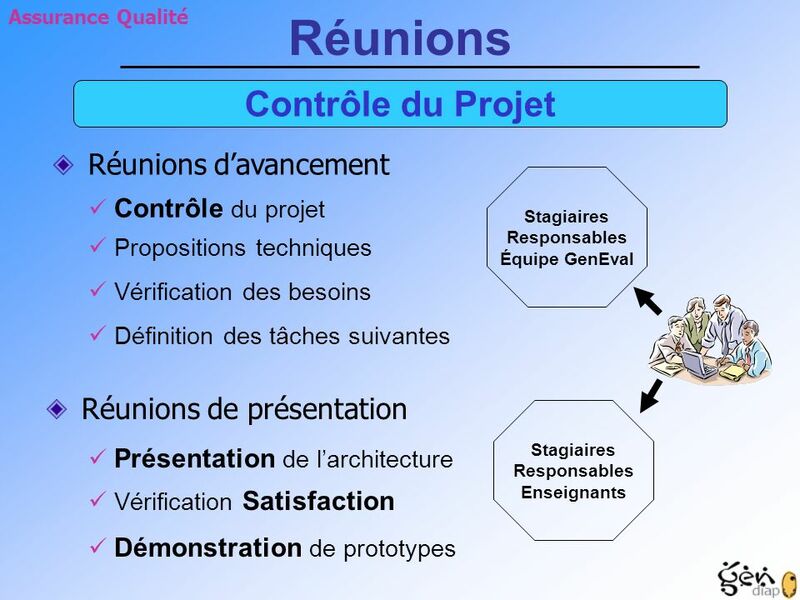 Now, taking in account the project context, we have different risks. 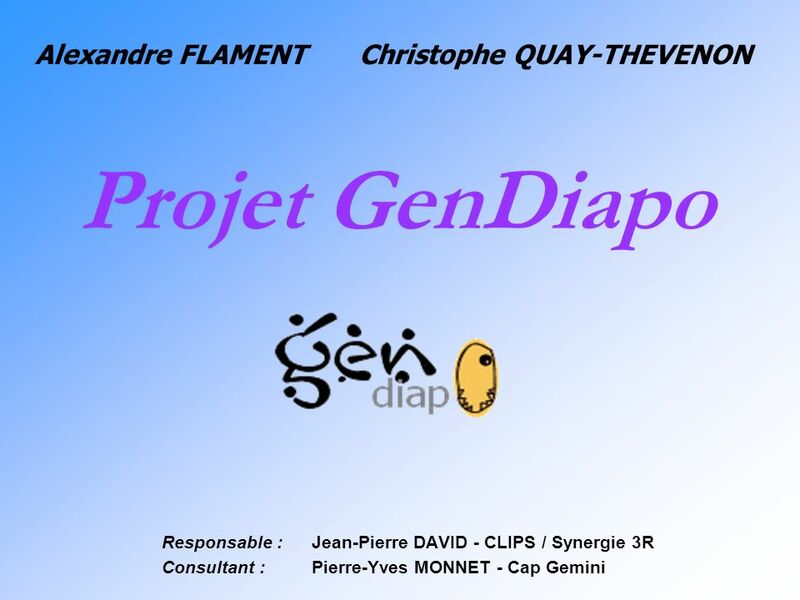 Télécharger ppt "Projet GenDiapo Alexandre FLAMENT Christophe QUAY-THEVENON"
MANAGEMENT DU PRODUIT Organisation Technique du Produit (OTP) Objet Arborescence Produits Relation autres domaines Décomposition du système Gestion.